Cetraben Cream is made from a mixture of white soft paraffin and liquid paraffin with water, to produce a thick moisturiser. It works by providing a layer of oil on the surface of the skin to prevent water evaporating from the skin surface. Cetraben Cream also contains glycerin, which is absorbed into the skin where it attracts water to itself, helping to retain water in the skin surface. Moisturisers are helpful for all dry skin conditions, particularly eczema and dermatitis, which get worse when the skin is allowed to dry out. Used regularly they help restore the skin's smoothness, softness and flexibility by helping the skin retain moisture. They should be applied frequently to prevent the skin drying out. In conditions such as eczema, using a moisturiser regularly, even once the skin has improved, can help prevent flare-ups of this condition. 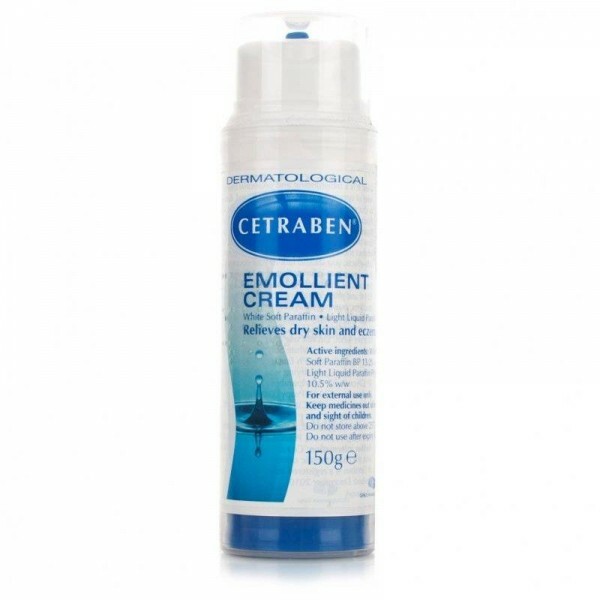 How to use Cetraben Emollient Cream: Apply to dry skin areas as often as required and rub in. 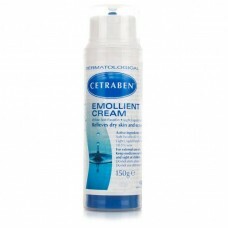 Cetraben Emollient Cream contains active ingredients: White Soft Paraffin BP 13.2% w/w, Light Liquid Paraffin Ph Eur 10.5% w/w. Also contains Emulsifying wax BP, Cetyl Stearyl Alcohol BP, Glycerin BP, Butylparaben, Methylparaben (E218), Ethylparaben (E214), Propylparaben (E216), Phenoxyethanol BP, Citric Acid, Purified Water.